Are you ready to sign up? Go here to get started. Essential oils available in health food stores, specialty stores and even sometimes online stores are NOT 100% pure, organic or wild crafted. Sometimes essential oils are derived from plant materials that are exposed to harmful pesticides or processed in another area far from the farm that grows the plant. As a part of my passion for Ayurveda and self-healing, I practice healthy eating and support natural ways of healing the body. These Essential Oils changed my life and added a new dimension to my natural aid kit. I have never been the one to go for allopathic medicine for pain relief, reducing inflammation or getting rid of any digestive disturbances, rather I would make my Khichari or Kadha to get rid of these discomforts. Adding the Young Living Essential oils to my weekly Abhyanga and massaging them after diluting with carrier oils (Sesame Seed or Coconut Oil) has accelerated the healing time from an hour or a good night’s sleep to a few minutes ONLY! Which Company I Buy from and Why? I came home that night and started doing vigorous research about the Young Living Essential Oils (YLEO). Initially I bought a few bottles but they seemed expensive. After six months or so trying other Essential Oils in the market, I decided to go with Young Living and signed up as a distributor. The Premium Kit ($173.75 CAD or $150 USD) is an absolute delish! But I will tell you all about it in a minute. I use these essentials oils as a part of our holistic medicine kit. My husband absolutely adores Young Living and use Thieves to clean everything including our water filter! 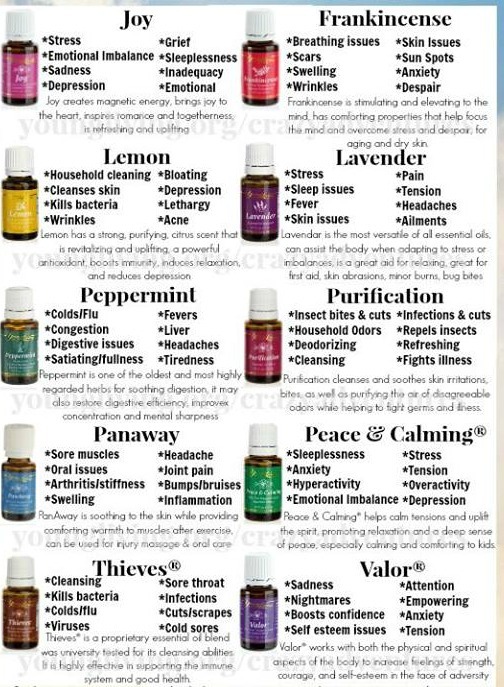 Young Living Essential Oils are 100% pure therapeutic grade oils. Young Living sets a standard for purity and authenticity. They carefully monitor every step of the production process and emphasize on “Seed to Seal” – meaning from the time the seed is planted to the time a Young Living Essential Oil is sealed. Here is a great detailed guide on aromatherapy that describes essential oils to help you choose the right ones. It was written by the director of The National Association For Holistic Aromatherapy in Louisiana. How to SIGN UP for Essential Oils from Young Living? Buy Retail – chose “Retail Customer” where it says Sign up as. Become a Wholesale Member – chose “Wholesale Member” where it says Sign up as. Please keep on reading ‘Perks of Becoming a Wholesale Member’ before selecting. Step 7: Fill out your credit card details. There are many benefits of becoming a Wholesale member with Young Living. You receive 24% off retail prices! Now that is a super catch. You NEVER have to fulfill a minimum MONTHLY purchase. Lifetime Membership: No yearly MEMBERSHIP FEE! Your first order will cover you for a year. You have a choice to sign-up for auto-ship. It is not a requirement. After you have signed up you will receive a confirmation email– you can log into your back office right away and manage orders, check your team, and send messages. Young Living offers 3 start kits for Wholesale Members that offers everything you need to start enjoying wellness, healing, and abundance with essential oils, diffuser and a rich NingXia Red juice. The premium starter kit is the best deal. This is a retail value over $300 that you will be receiving for $173! The 10 Everyday Oil Collection: Oils including Lavender, Peppermint, Lemon, Frankincense, PanAway (a nice massage oil that relaxes the muscles! ), Peace and Calming, Thieves (best oil ever!! ), Purification, Valor and Joy oil blends. AromaGlide Roller Fitment” In order to turn any oil into a roll on and use on your wrist. Ordering directly from Young Living is the best way to ensure quality, purity and authenticity. You may find YLEO at Amazon or eBay but there is no way of knowing if those are authentic or unadulterated. So be aware. Buying retail also means you are paying the premium price that is not necessary and you can buy more oils paying wholesale rate or save the money! Another reason you should not buy retail is that you will get the oils but not know how to use them. When you buy using my ID, you will get personal support from me and my team to guide you on how to use the oils for you and your family. What if I Want to Earn Extra by Reselling? I am the founder of Conscious Health and I am a distributor for Young Living Essential Oils. As such, I will promote and sell essential oils and related products from Young Living Essential Oils on my site. Due to this pre-existing relationship, I will not direct sales or promotion any other essential oil brand, company or products on my site. How to Use the Essential Oils from the Starter Kit? If you have any questions or need assistance in signing up for Young Living Essential Oils please contact me at info@conscioushealth.net (Subject Line: Downline – Need YLEO Support). I believe having products without knowing the best ways to use it makes not worth while. In order to teach you how to effectively and safely use Essential Oils and understand how to use principles of Ayurveda in using essential oil check out my e-Course. later on. I want to encourage one to continue your great job, have a nice holiday weekend!